I’m the first to admit it, Valentine’s Day is one of my favorite excuses to indulge in sweets, treats, chocolates, cookies, ice creams, you name it. I’m that type of person who takes a bite out of every.single.piece of boxed variety chocolate just to see what’s inside. 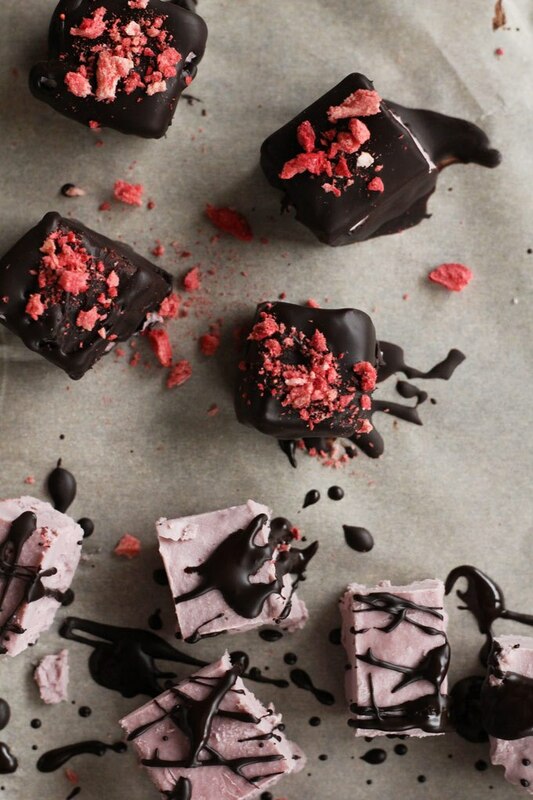 I have such a stinkin’ sweet tooth and Valentine’s Day is just one of those days when I go hog wild. Forget flowers, jewelry, and love notes, I just want the sweets (well flowers, jewelry, and love notes *in addition* to sweets won’t hurt either, ya know). BUT since I’m all about the Balanced Babe lifestyle I have to eat healthy in some capacity, so even though I get major sweet cravings I make sure that I’m always finding healthy substitutes to ingredients like white flour, refined sugar, milk etc. 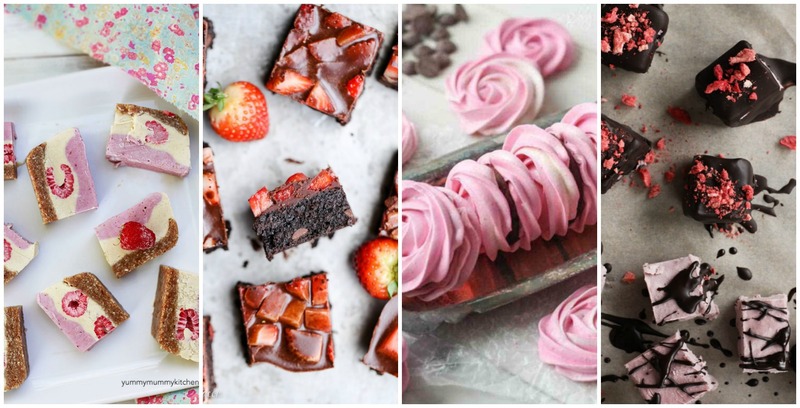 If you’re going to be making any type of sweets or treats for your Valentine today, I’ve rounded up a list of allllll sorts of goodies you can make that have your internal Balanced Babe in mind. From completely vegan desserts, to healthy substitutions, there’s so much to choose from! Just make sure you don’t go into a sugar coma on your baking journey today. 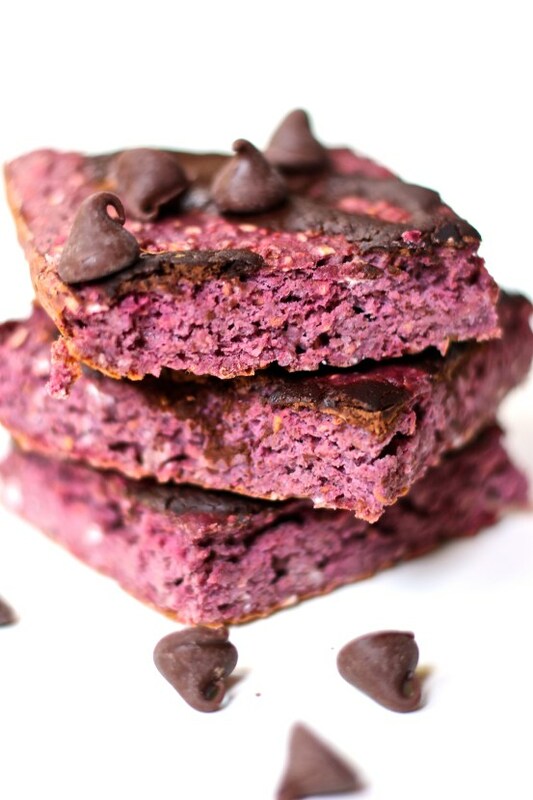 Sugar-free & gluten-free dark chocolate raspberry bars by Healthy Helper: Dark chocolate is obvi healthier than milk chocolate – plus there’s protein powder mixed in to give it some nutritional kick! 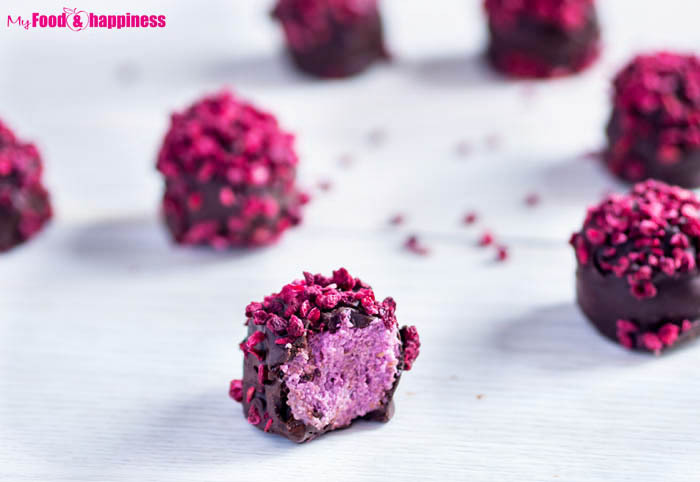 No bake raspberry chocolate truffles by My Food And Happiness: You don’t even have to worry about popping these bad boys in the oven! Perfect to put in a nice little chocolate box for your honey. 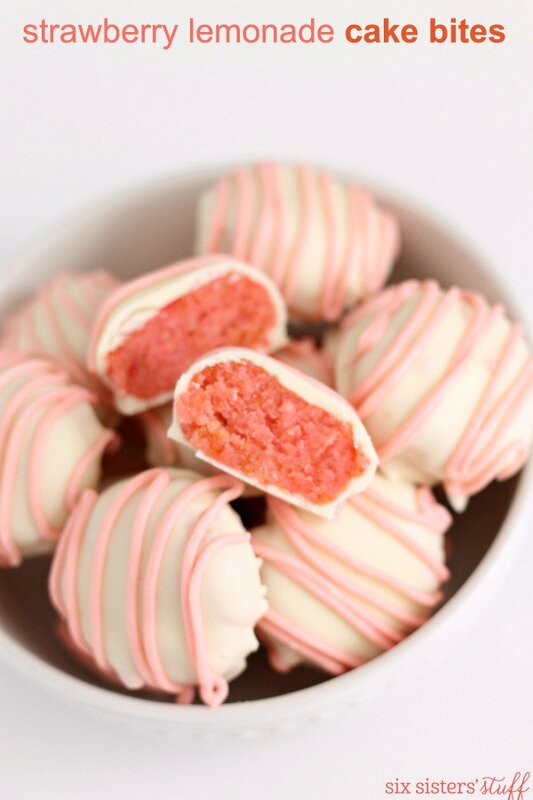 Chocolate covered strawberry cheesecake bites by Love Me Feed Me: Cheesecake + strawberries + chocolate = yum. Oh and they’re completely vegan! Raw frosted sugar cookies by Sweetly Raw: Instead of refined white flour, this recipe calls for coconut flour and almond flour. AAAAND it’s another recipe that requires no baking! Holler! 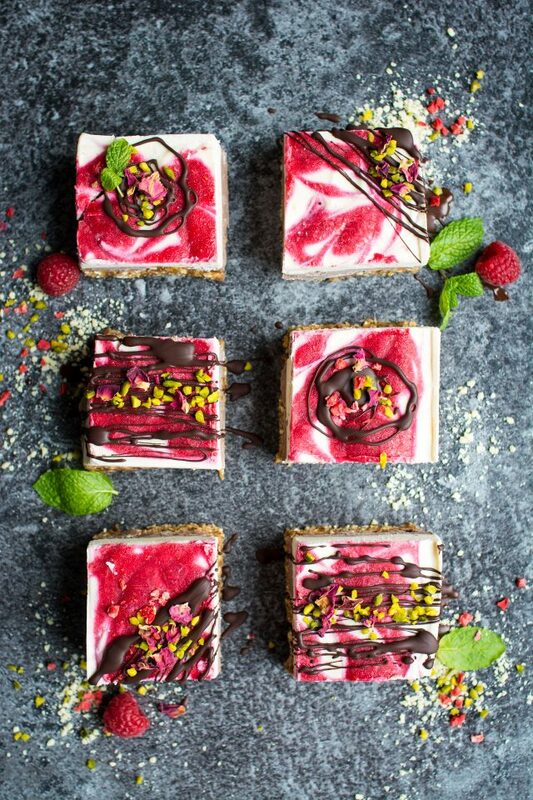 Raw raspberry vegan cheesecake by Yummy Yummy Kitchen: This recipe uses all sorts of healthy ingredients like dates, cashews, coconut flakes, macadamia nuts and almond milk. Do you see a pattern here? Yet another dessert that requires *zero* baking. Ugh I just love it. 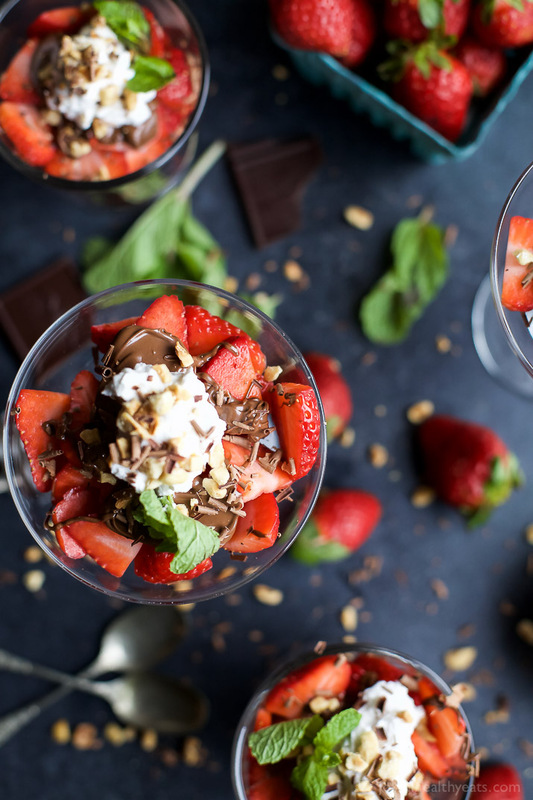 Nutella strawberry parfait with coconut whipped cream by Joyful Healthy Eats: Love how this recipe creates coconut milk based whipped cream. I could eat that allll day thank you very much. 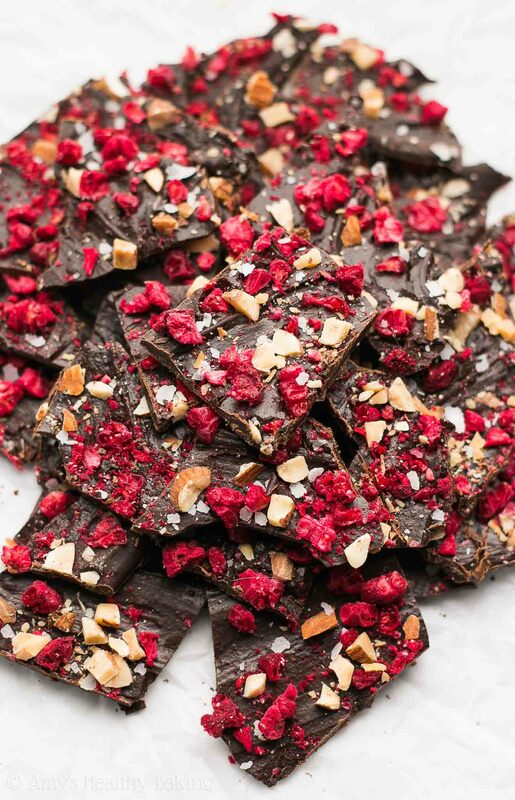 Dark chocolate raspberry bark by Amy’s Healthy Baking: All you really need to do for this recipe is melt the chocolate either by quickly zapping it in the microwave, or by melting it in a pot. 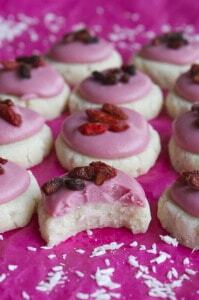 Can you tell that I love raspberry focused sweets for Valentine’s Day?! 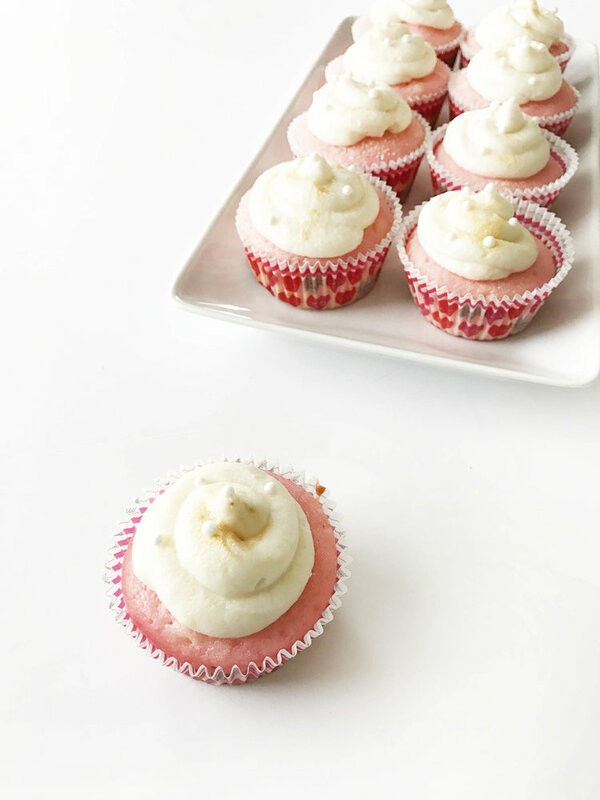 Skinny pink champagne cupcakes by The Skinny Fork: Aren’t these clever? Balancing out the champagne in this recipe with protein packed Greek yogurt. Now that’s a balanced dessert! 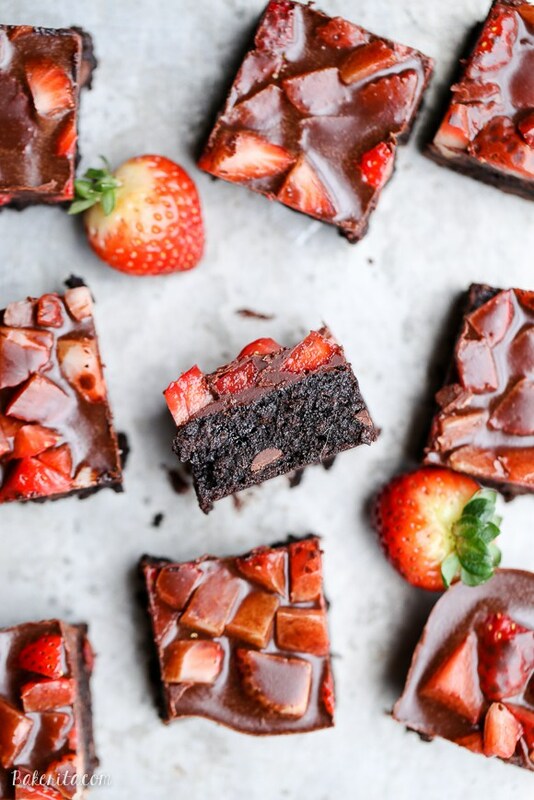 Chocolate covered strawberry brownies by Bakerita: I mean if you love brownies and you love chocolate covered strawberries, then you’ll go looney over this recipe. UGH V-day on a whole other level. 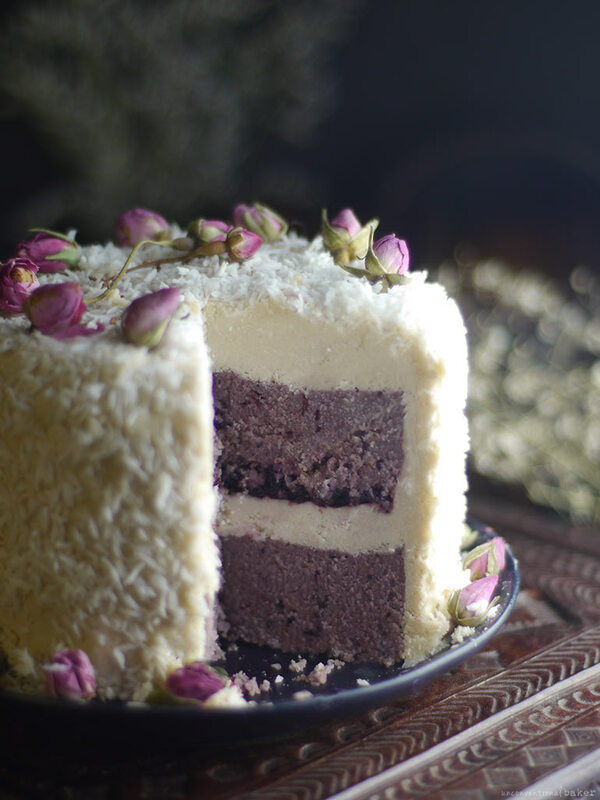 Blackberry coconut no bake cake by Unconventional Baker: The cake base is made with raspberry jam, coconut flour, and nut milk while the frosting is made with coconut butter, maple syrup and vanilla. Totally looks indulgent, but made with all dairy free ingredients! 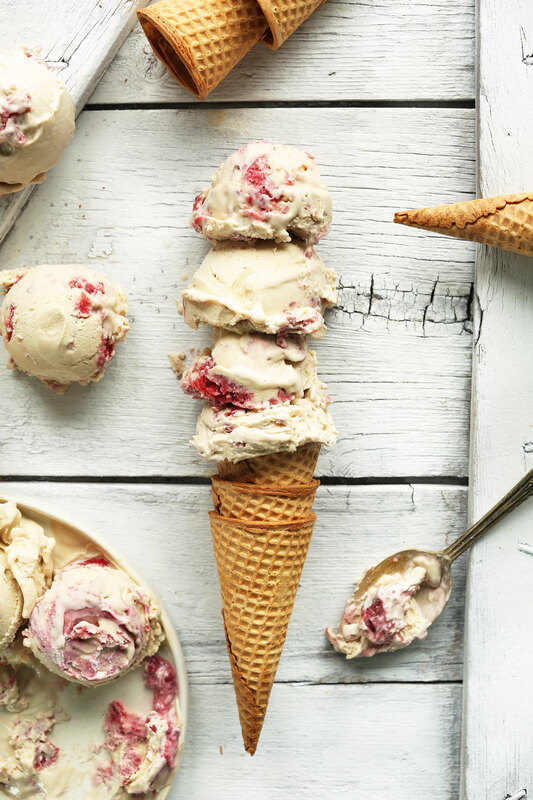 Raspberry coconut ice cream by Minimalist Baker: For all the ice cream lovers out there – this will satisfy your sweet tooth all while looking festive for Valentine’s Day! 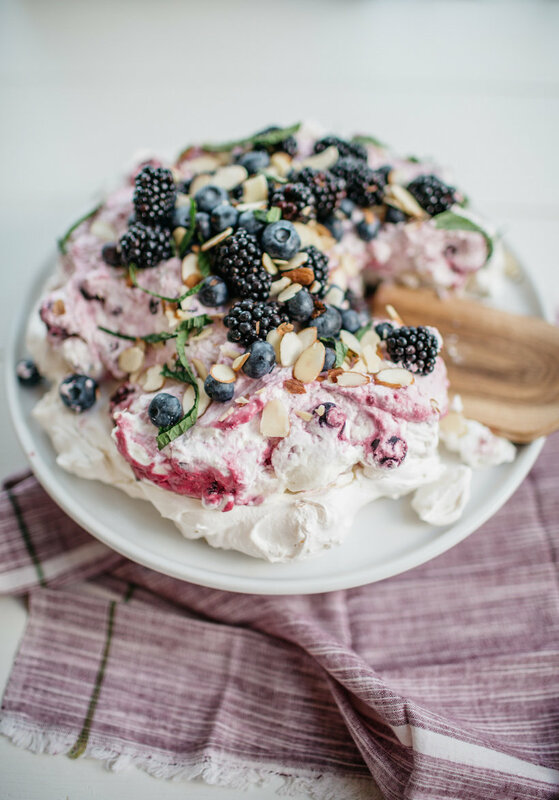 Almond berry pavlova by Camille Styles: Even though this recipe calls for cheese, sugar, and some indulgent ingredients – all the berries and almonds balance it out. I mean you can’t be toooo strict on yourself! 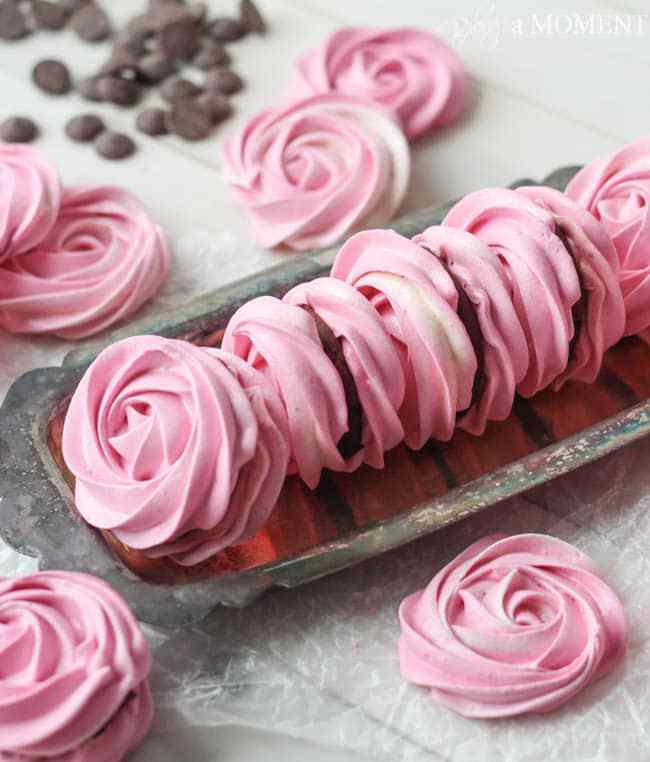 Raspberry meringue sandwiches by Baking A Moment: Just looking at this dessert makes me think of Valentine’s Day. Enough said. 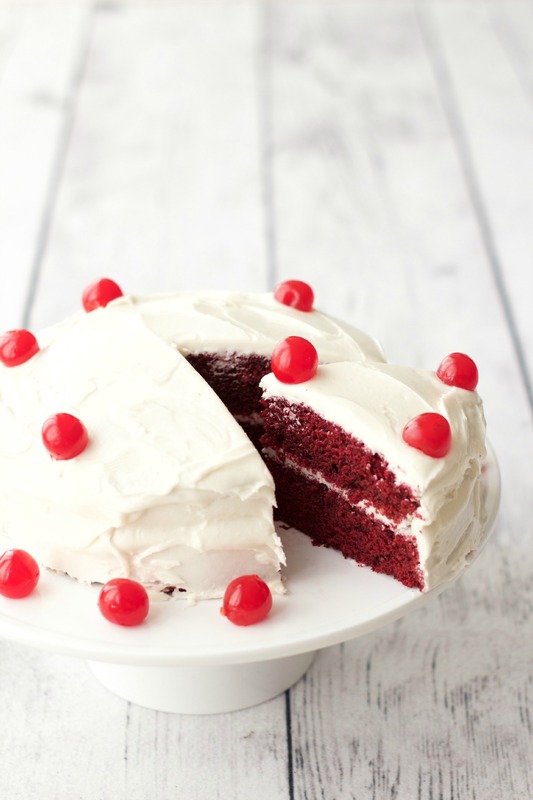 Vegan red velvet cake by Loving It Vegan: Another indulgent but at least dairy free cake to feast on! 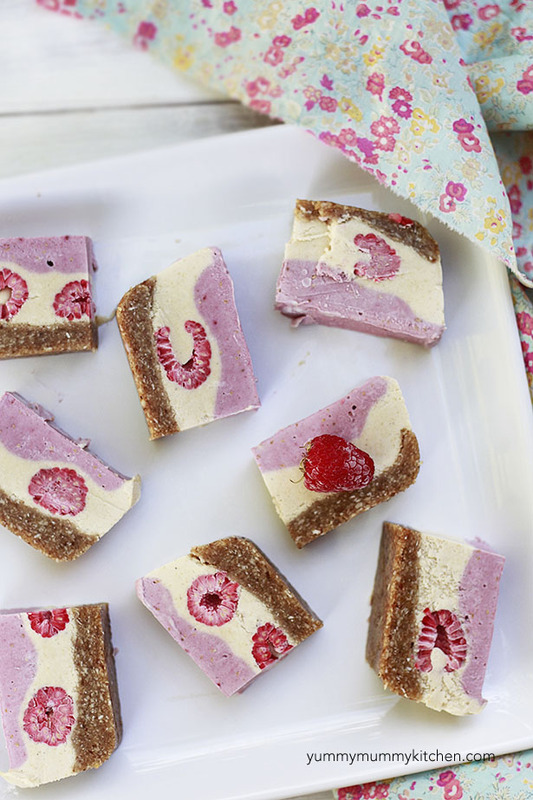 Raspberry raw bars by Lauren Caris Cooks: These are so pretty that I almost wouldn’t want to eat them. 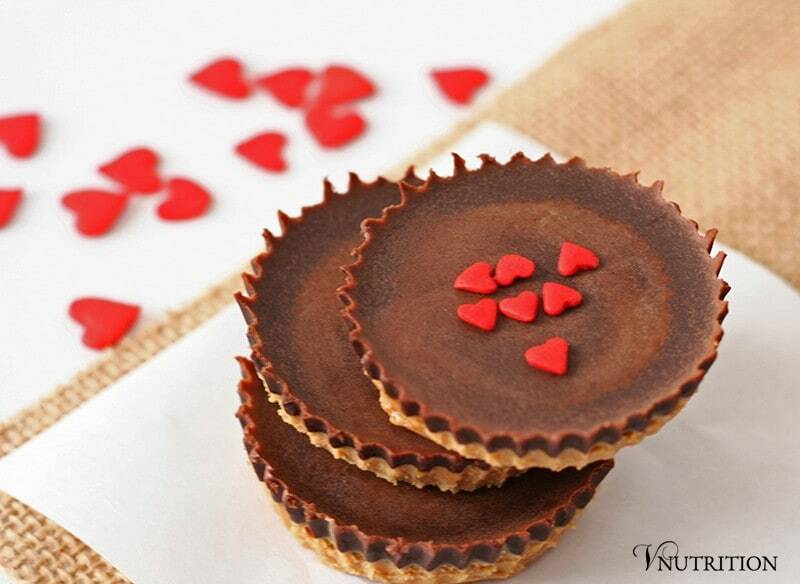 Dark chocolate peanut butter cups by V Nutrition: Made with coconut oil, cocoa butter, and of course little candy hearts. 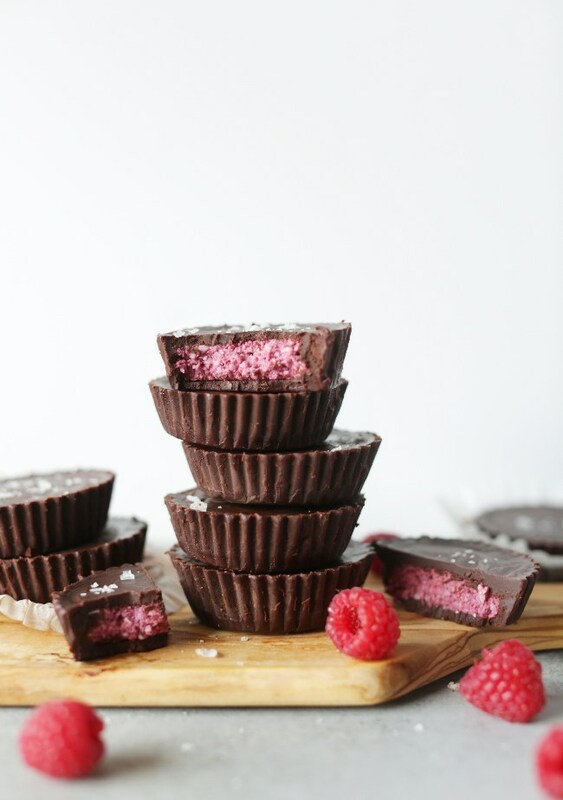 Vegan chocolate raspberry coconut cups by Nutritional Foodie: If peanut butter isn’t your thing, you can make these raspberry coconut cups instead! Strawberry lemonade cake bites by Six Sisters Stuff: Last but not least, these adorably festive cake bites. Nothing particularly health conscious about them – but man they look so good.